Papers holders are designed to keep the newspapers, and other important papers at a place to eradicate the problem of mess caused by them. They are ideal to pile up the papers in a systematic as well as organized way. In addition to high utility, they also add beauty to the decor of library, study room, drawing room, children room, etc. in offices, homes, etc. Protect the room from clutter; they are available in a variety of materials like plastic, metal, jute, etc. Jute paper holders are a smart way to keep the papers arranged along with leaving a great impact on the onlookers. They are so compact and portable that they do not take up much space. 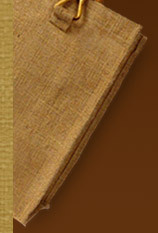 Light in weight as well as handy, jute papers holder can be easily placed in any nook and corner of the establishment. In addition to this, they can be easily folded and kept anywhere when there is no need of them. They are handmade holders manufactured from the organic as well as natural materials, Jute. They are 100% natural and biodegradable that can be easily decomposed. 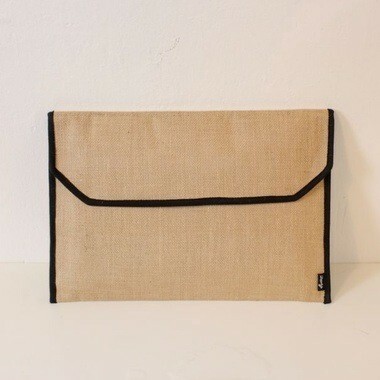 Eco friendly nature makes jute paper holders the need of the hour, where the concern of keeping environment safe and clean has become first and foremost. Jute papers holder can be availed in a variety of shapes, designs and styles. The collection of paper holders made from organic material, jute ranges from simple to the decorative ones. They can be decorated with bamboo sheets, and other natural as well as synthetic material. Moreover, they can be embroidered, painted, dyed in any vibrant color, adorned with beads, mirrors, etc. to attract the glimpse on visitors or guests. Jute paper holders can be used as a promotional gift item with brand, logo as well as company name on them with attractive colors and designs.